Acupuncture, a system that originated in ancient China, has increasingly been adopted by medical science in the last 30 years. Its use has become standard in physiotherapy and rehab clinics across the globe. Acupuncture treatment in combination with physical therapy is an excellent strategy for speeding the rate of recovery from pain and injury. 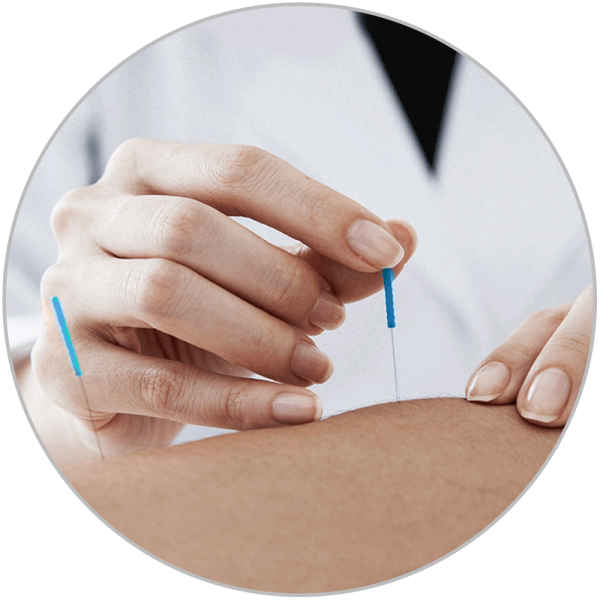 Acupuncture’s advantage is that it uses electrically conductive needles to directly interface with the peripheral nervous system in order to manipulate sensory and motor function, as well as sympathetic and parasympathetic activity. This means that acupuncture is not only great for pain relief, but also for improving muscle weakness caused by chronic or acute injuries by strengthening the neurological supply of inhibited muscles. Treatments are personalized to the specific needs of the patient. Contact the front desk to book your initial assessment today!